After dialogue with the Union Government in Naypyitaw on February 28, we have now been informed by the Minister of Health and the Minister of Home Affairs that we can resume part of the activities as covered by our original Memorandum of Understanding (MoU) on Monday March 3. This includes HIV/AIDS and other activities in Kachin and Shan states, as well as Yangon region. Whilst we are encouraged by this and will resume these activities for now, MSF remains extremely concerned about the fate of tens of thousands of vulnerable people in Rakhine state who currently face a humanitarian medical crisis. MSF Holland clinics in Rakhine remain closed since February 27, following a verbal communication from the Rakhine State authorities to suspend our activities. Prior to the suspension, MSF carried out a variety of activities in nine townships across in Rakhine, treating anyone who was unable to access the medical care they required. All MSF services are provided based on medical need only, regardless of ethnicity, religion or any other factor. MSF looks forward to continuing the dialogue with the Union Government to ensure that essential life-saving services continue to reach those that need them. Médecins Sans Frontières/Doctors Without Borders Holland (MSF) has been ordered by the Union Government of Myanmar to cease all activities in the country. MSF is deeply shocked by this unilateral decision and extremely concerned about the fate of tens of thousands of patients currently under our care across the country. Today, for the first time in MSF’s history of operations in the country, HIV/AIDS clinics in Rakhine, Shan and Kachin states, as well as Yangon division, were closed and patients were unable to receive the treatment they needed. TB patients were unable to receive their life-saving medicine, including drug-resistant TB patients. This decision by the Union Government will have a devastating impact on the 30,000 HIV/AIDS patients and more than 3,000 TB patients we are currently treating in Myanmar. In Rakhine state, MSF was unable to provide primary health care to the tens of thousands of vulnerable people in camps displaced by the ongoing humanitarian crisis or in isolated villages. This includes facilitating life-saving referrals for patients that require emergency secondary hospital care to Ministry of Health facilities, as well as family planning and care for pregnant women and newborn babies. There is no other medical non-government organization that operates at the scale of MSF with the experience and infrastructure to deliver necessary life-saving medical services. In our 22 years of presence in Myanmar, MSF has proven that we deliver healthcare to people based solely on need, irrespective of race, religion, gender, HIV status or political affiliation. Since 2004, MSF has treated over 1,240,000 malaria patients in Rakhine state alone, where the disease is particularly endemic. Like HIV/AIDS and TB, malaria knows no ethnic boundaries. 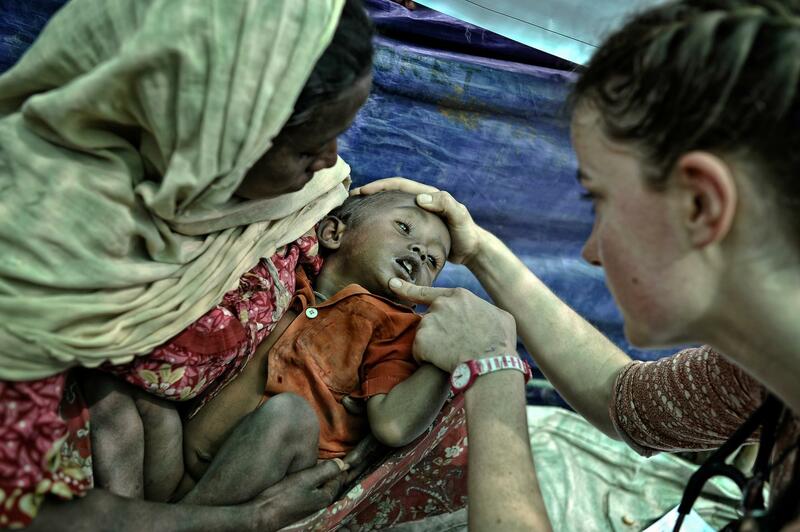 MSF’s actions are guided by medical ethics and the principles of neutrality and impartiality. MSF is in discussions with the Government of Myanmar to allow our staff to resume life-saving medical activities across the country and continuing addressing the unmet heath needs of its people.